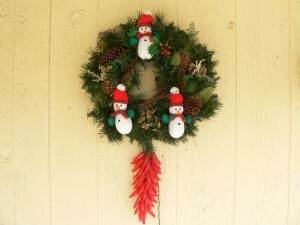 YUMMY CHRISTMAS RECIPES ON RIGHT SIDEBAR! It is Christmas season and it brings to mind so many things to ramble about, I don’t know where to begin! I decided to write about something very, very important – SNOWMEN!! Yes, yes. Snowmen are the bane of my husband’s existence. He dreams of snowmen and blowtorches together. He talks about hiring a snowman hit man to take my entire collection out in one fell swoop. Talk is cheap. The price he would pay is way more expensive than he would really want to pay. Really. Trust me on this. So here we are at Christmas. I am a firm believer of keeping Christ in Christmas. There would be no Christmas without Christ but most people have forgotten this. They think Santa Claus is the reason for the season. Nope. Not so. Jesus is the Reason for the season. Side note: There was a real man whose life eventually led to the creation of what is now commonly known as Santa Claus. December 6, the day of his death, became St. Nicholas Day on the Roman Catholic calendar, and the custom of gift-giving on December 6 began in France and spread across all of Europe. For those of you who are interested, part of his story is available here: Real St. Nicholas. It is a fascinating story. So anyway, back to the snowmen and the lesser reason in the season. Snowmen Torture of Alpha Hubby. 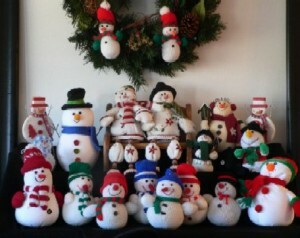 Alpha Hubby really thinks I’ve gone overboard so I have really been cutting back on snowmen purchases. 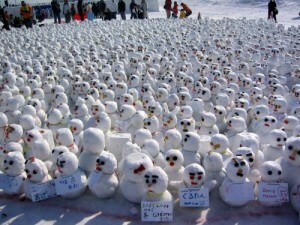 It is hard but I guess there really is such a thing as too many snowmen. Haw, haw, haw. Got you there for a minute, didn’t I!? There is NO such thing as too many snowmen. So trying to keep in the spirit of the season and keeping the peace in the house, I’ve been careful to only pick up a few very special or unusual snowmen. 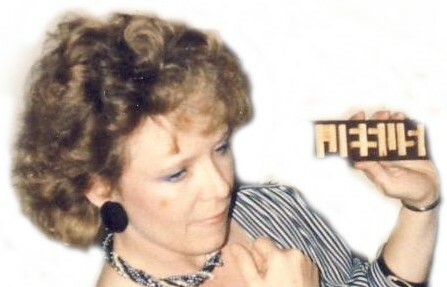 I believe I have been rewarded for my loving kindness toward my husband. 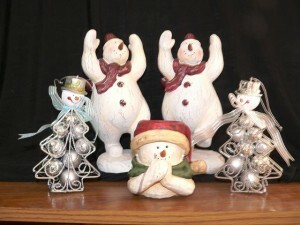 I have discovered that God really did make snowmen and meant for me to have them. See? I have proof. Not only do I now have snowmen raising their hands and, what I believe, praising God, I even have one in front that is praying. What more proof do I need that it is OK for me to collect snowmen?? Oh? Those other two? Ummm – they were cute? They begged me take them off the empty Lowe’s shelf and take them home? Celebrate the joy of the season. Stay at peace. Don’t overextend your finances. Don’t shop until you drop. Realize that there is always another day to do what needs to be done – or don’t do it. Anything that causes you stress needs to be re-evaluated. Don’t sweat the small stuff. Count your blessings and be thankful. Relax and remember the real reason for the season – and it isn’t finding that perfect gift for someone who will probably exchange it anyway. Take a breath – that’s your first blessing to be grateful for. You are alive and have the choice to enJOY your life! 2 comments on "Snowman Torture"
The cows would like just for a dab of sweet feed. You LIE! What can I say that would not backfire? 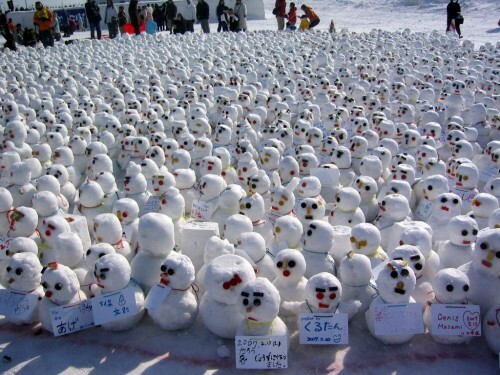 Hoards of snowmen in a nuclear meltdown. Oh my goodness, that would be horrible! But darling it was an accident. Beyond my control. I had nothing to do with it. It wasn’t me. Really! I was with the cows putting out sweet feed. Just ask them!